They were very professional and I am very happy to recommend them. Fantastic company. Work completed on time and professionally done. Plumbers were very polite, will recommended to anybody. Fantastic service from start to finish, would highly recommend HPR to anyone needing work done. Arrived on time as promised and did a very small job, very well and without a fuss. I would recommend them. 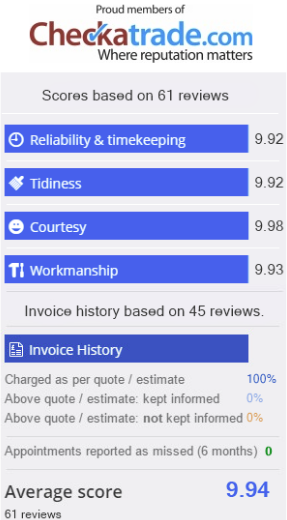 I was very impressed with the service from this company and would definitely recommend them. They were on time, clean and very friendly. Punctual + polite kept me informed about what he was doing. Would definitely recommend to others. Polite, respectable. Gave a comprehensive service and went above and beyond by fitting a tap and carbon monoxide alarm.